The Travelon Anti-Theft Urban N/S Tablet Messenger Bag is a modern take on a classic design. It features roomy main compartment with padded and fleece lined sleeve to hold iPad or tablets. The front zippered organizer compartment has RFID blocking card slots, two zippered wall pockets, a pen loop and a tethered key clip with led light. The exterior features two mesh expansion pockets, perfect for a water bottle, an umbrella or sunglasses. It also includes slash-resistant construction, locking compartments, slash-resistant and locking shoulder strap to keep the belongings protected. 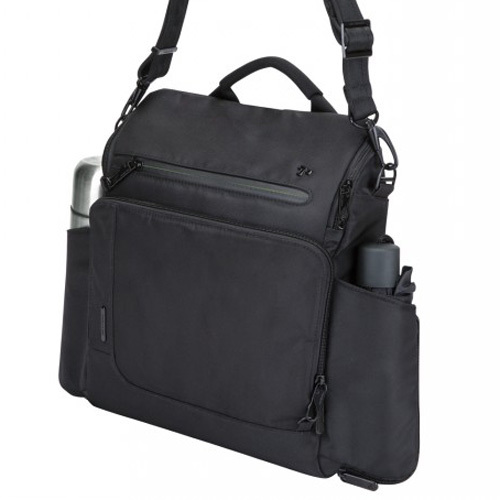 The Travelon Anti-Theft Urban N/S Tablet Messenger Bag-Black has many exciting features for users of all types. You can extend the lifetime of your Travelon Anti-Theft Urban N/S Tablet Messenger Bag-Black with the purchase of a FactoryOutletStore Factory Protection Plan. See the Travelon Anti-Theft Urban N/S Tablet Messenger Bag-Black product video and gallery images above for more details. 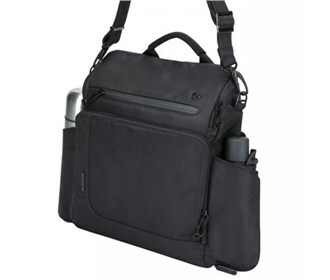 The Travelon Anti-Theft Urban N/S Tablet Messenger Bag-Black is sold as a Brand New Unopened Item.